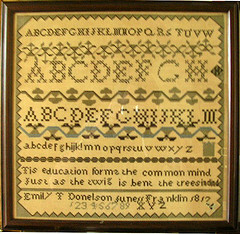 Emily Donelson was his niece by marriage and only 21 when she entered the White House. Andrew Jackson’s wife, Rachel Donelson, had died (ust before her husband became President) on December 22, 1828. The role of First Lady was then assumed by Sarah Yorke Jackson who had married to Andrew Jackson, Jr.
Facts and Info: First Ladies are not elected so have no official role. Their accomplishments are therefore based on their own particular wishes that ranged from political interests, humanitarian and charitable causes or duties relating to their family or social responsibilities. 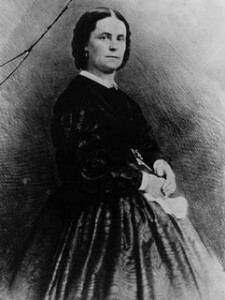 Emily Donelson became First Lady as a result of her support of her aunt, Rachel Donelson Jackson, the wife of President Andrew Jackson. 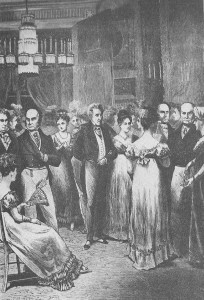 Due to ill health Rachel Jackson had asked Emily to assist her in some of the forthcoming routine social functions and duties that would be demanded of her when she became the mistress of the White House. Rachel died on 22 December, 1828 before her husband entered the White House on March 4, 1829. 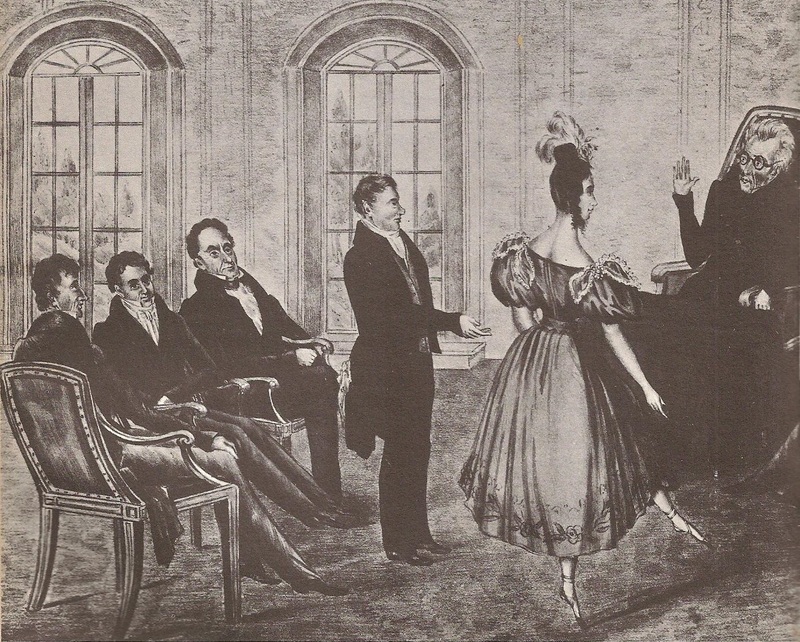 President Andrew Jackson followed Rachel�s decision and invited the young Emily Donelson to serve as First Lady in her aunt�s stead. Facts and Info: Emily Donelson was one of the few ladies to serve as mistress to the White House without actually being married to the President. 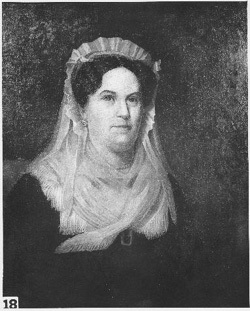 Emily Donelson was President Andrew Jackson�s niece by marriage. 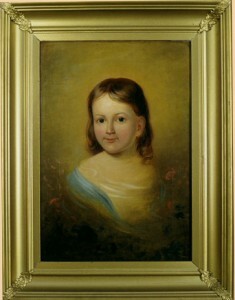 She was the daughter of Rachel Donelson Jackson�s brother John and his wife Mary on June 1, 1807 at the Clover Bottom Farm in Donelson, Tennessee. She had a wealthy, privileged background and was well educated at Lebanon School Roadhouse and then the Nashville Female Academy. She married her first cousin, important Andrew Jackson Donelson when she was seventeen years old. 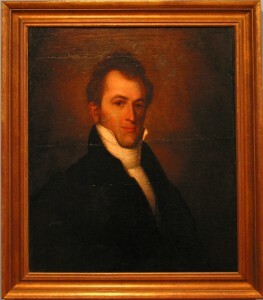 When young Andrew Jackson Donelson’s mother remarried, the lad Andrew moved to The Hermitage, the home of his aunt, Rachel Donelson Jackson and Andrew Jackson, Andrew’s namesake. 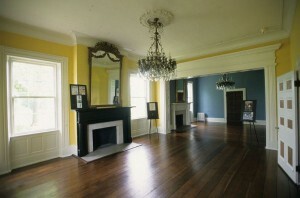 Following their marriage Emily Donelson undertook the social duties associated running the Tulip Grove plantation. The couple would raise 4 children of which three would be born in the White House. Emily was a confident and outspoken young women. She understood the political importance of maintaining valuable political support via informal social events. 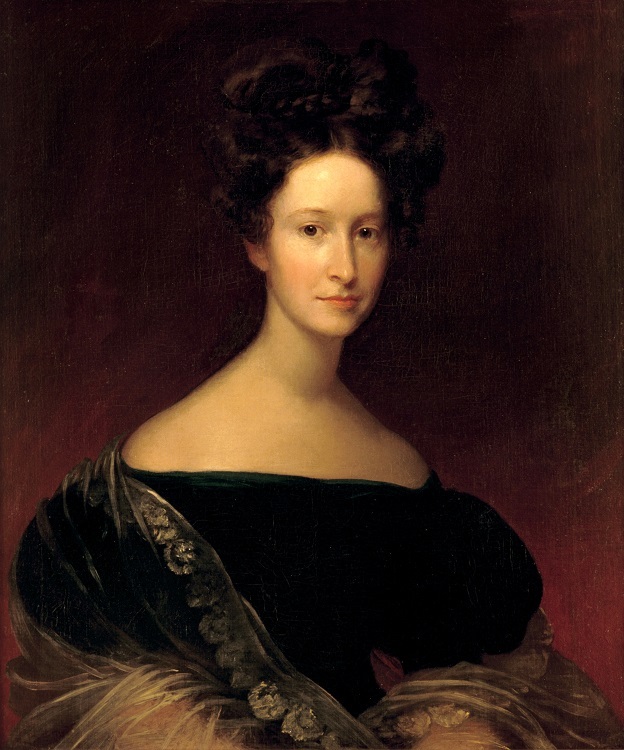 Aware of her young age Emily Donelson showed great respect and adopted a strict sense of propriety when mixing with the older, wealthy women who were wives of Cabinet members – refer to President Andrew Jackson’s Cabinet . Her strict sense of propriety and her outspokenness led to an extremely difficult political situation involving the Secretary�s of War�s wife, Mrs. Peggy Eaton. Peggy Eaton greatly offended Emily Donelson by remarking that Emily�s relationship President Jackson was inappropriate. Emily refused to ever associate with Peggy Eaton again – refer to the Peggy Eaton Affair. 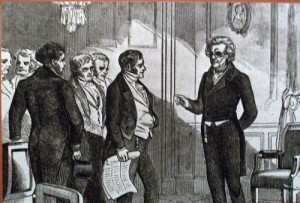 The dispute led to Emily and her husband leaving the White House during the summer of 1830. Emily refused point blank to return to the White House if she had to associate with Peggy Eaton. She only relented when Mr. Eaton was appointed the U.S. Minister to Spain when he and Mrs. Eaton were required to move to Spain to live. 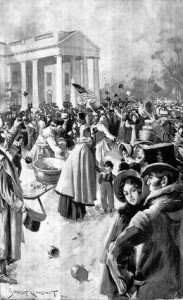 Emily returned to the White House as First Lady in September of 1831. What is Hydrofracking? What is Hydrofracking?